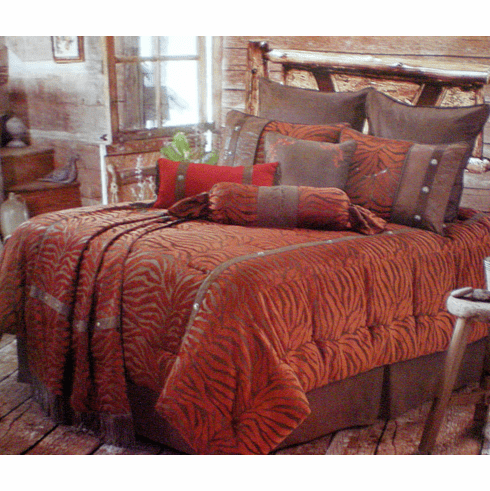 Spruce up your bedroom or dorm room with the Zebra Western Bedding Set.The set come with an overstuffed polyester filled microfiber comforter,two matching pillow shams a matching dust ruffle and an embroidered matching throw pillow. The two neckroll pillows pictured are available for purchase separately. Twin comforter, 1 Pillow sham 21" x 27" Dust ruffle 78" x 80" x 18" Embroidered pillow 18"x18"